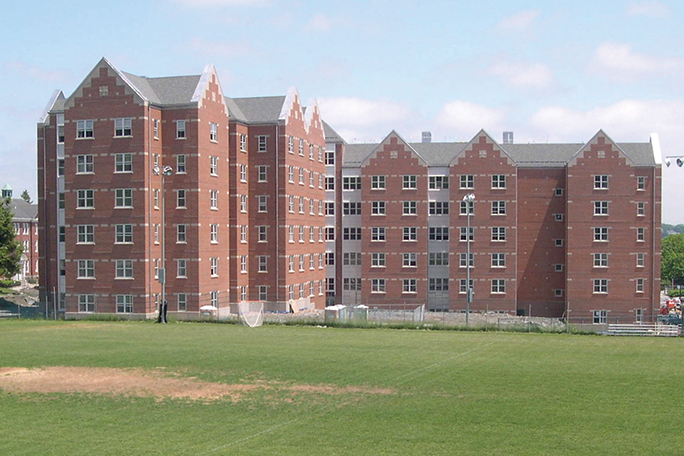 Link to PC Residence Hall Project PDF. Working in the capacity of Owner’s Representative for Providence College, Farrar & Associates assisted the school with constructing a new apartment style dormitory with 72 suites to house 348 students. 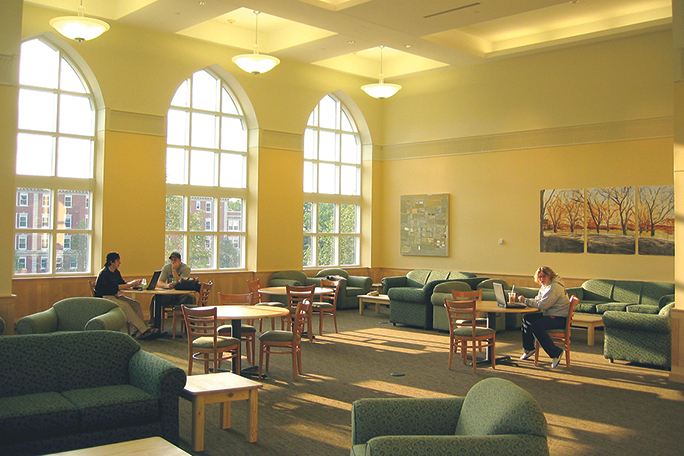 Working within this capacity Farrar was responsible for advising the school on construction related issues and managing the project team in order to maintain the project schedule and budget. Substantially completed in August of 2004, the project was fasttracked and took only 14-months to construct. This new 6-story building is 112,000 sq.ft. and cost approximately $19.6 million. 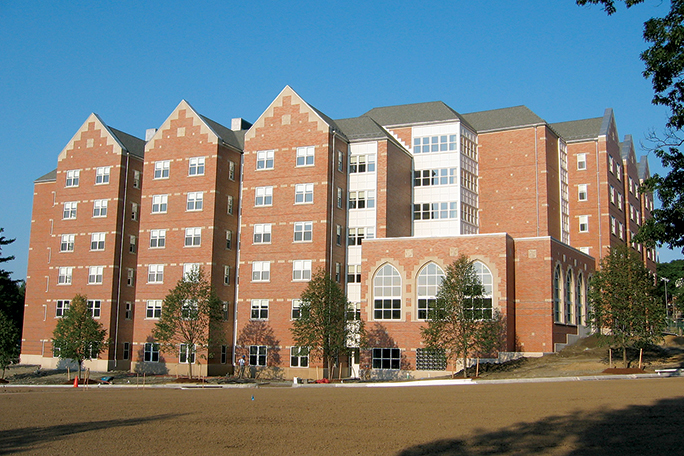 This new residence hall contained 42 four-bed suites and 30 six-bed suites. 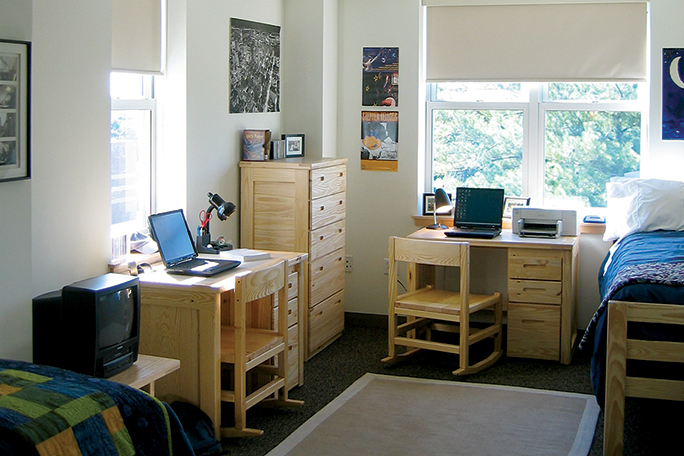 In suite-style living, students share two-person bedrooms in four or six person pods. 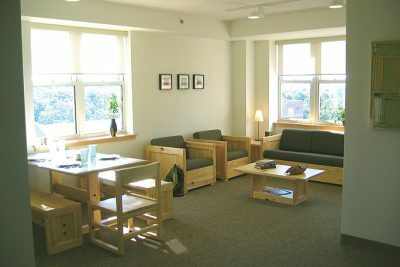 Each group of students shares common living/lounge quarters. A sitting area with an adjacent study lounge also is located in the lobby on each level. 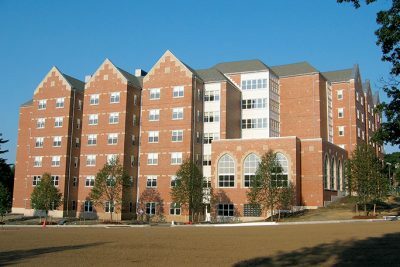 As the request of the client Farrar was also retained to assist with overseeing various utility and infra-structure upgrades throughout the 105-acre campus.